Our mission is to use technology to alleviate the stress, isolation and loneliness of children in medical care, and keep them connected with their family, friends and school community. On September 12, 2018, over 80 Sotheby’s International Realty Canada (SIRC) team members, family and friends met at their Toronto offices in the first Days of Giving (LIVE Giving) pilot program. This video captures the spirit of the event. 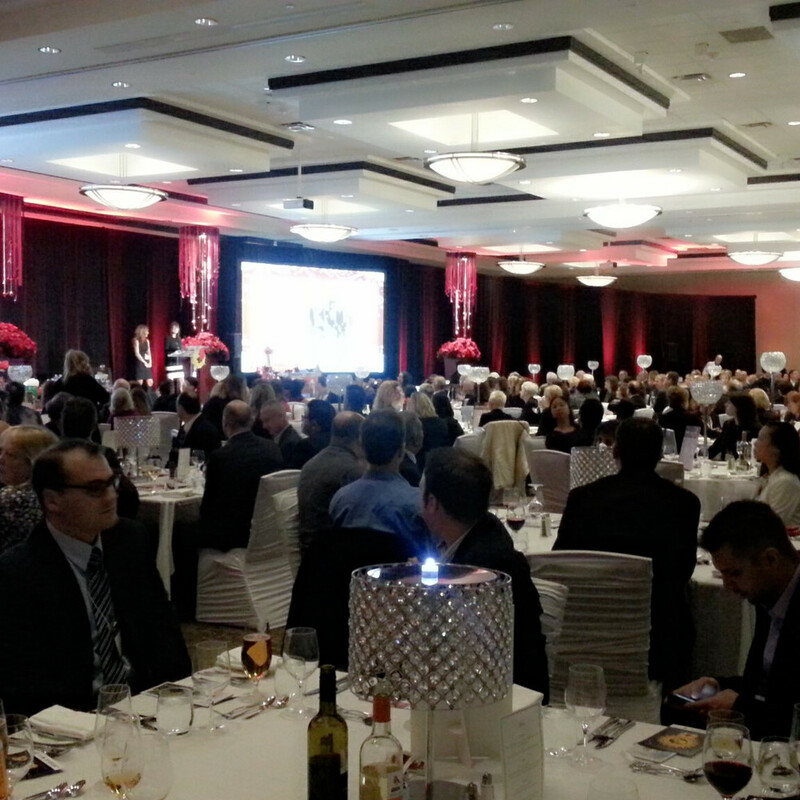 The SIRC team assembled over 300 craft kits, and as importantly, raised $20,000 for KHLF and SickKids Foundation. Congratulations and thanks to the top three fundraisers – Alessia Polo/Janice Williams, Nigel Denham and Linda Chu. Now that the pilot is complete and with the many lessons learned, the plan will be to roll out similar programs across the country in the communities SIRC serves. This roll out will leverage the relationships that Kids’ Health Links Foundation has in over 30 children’s hospitals and other paediatric health care facilities across Canada. Sotheby’s International Realty Canada intends to designate a few individual days throughout the year where everyone from SIRC will be involved in similar activities all in support of kids in hospitals, ideally on the exact same day. The impact from the full force and effect of this involvement would be substantial. Sotheby’s International Realty Canada: Artfully uniting extraordinary experience and extraordinary children. Mark your Calendars! Tickets on Sale! On Wednesday June 29th, Stollery Children's Hospital launched Upopolis, becoming the first healthcare organization in Alberta to join this social network that connects hospitalized and chronically ill youth across Canada to one another, family and friends. Upopolis differs from typical social networks by delivering therapeutic benefits for the youth who use it. These benefits include being able to access medical content written in kid-friendly language so patients can better understand their diagnosis and treatment plan; and enabling connections with other patients who share similar diagnoses through public and private discussion groups, which can lead to new friendships, shared experiences and new interests that form a broader support network for the patient. For more info about this exciting event, check out the full press release here. 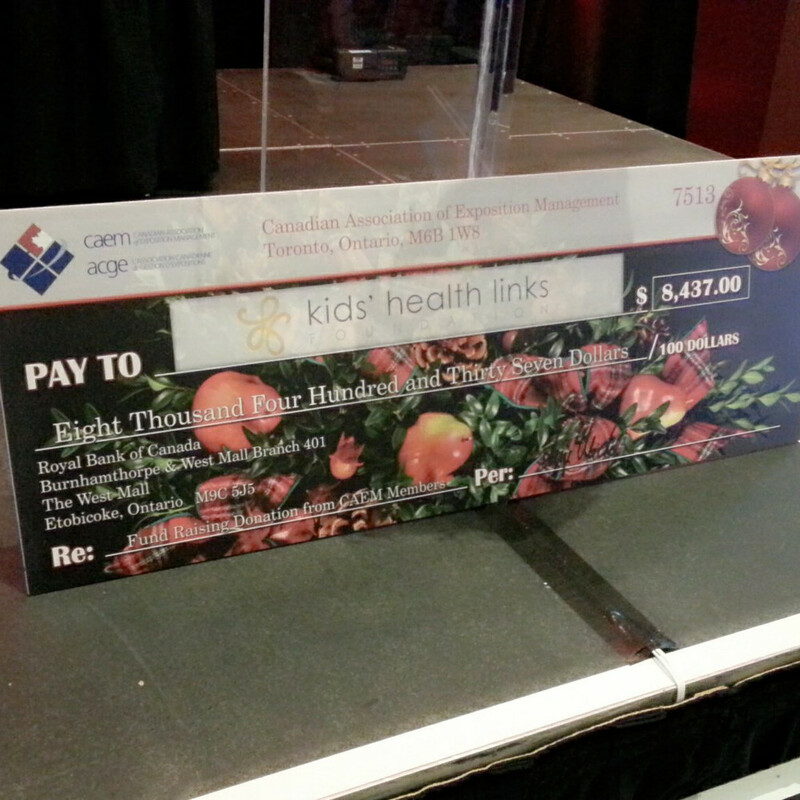 CAEM raises $8,437 for KHLF, its Charity of Choice! 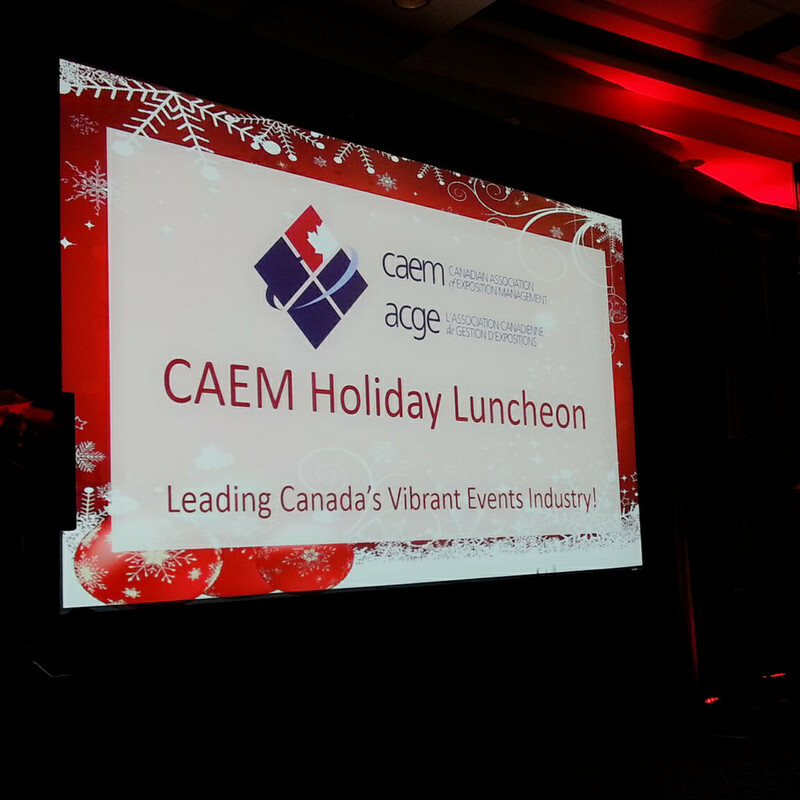 Earlier this week, on Wednesday, December 3rd at The International Centre, KHLF attended the Canadian Association of Exposition Management (CAEM) 2014 Holiday Luncheon Event. We are honoured to have been selected as CAEM'S Charity of Choice once again this year! It was a pleasure to lunch amongst friends as we continue to develop our relationship with such a generous organization and supporter of our work. We were also so grateful to be presented with a cheque of $8,437 from the fundraising produced by CAEM and its members at last year’s holiday luncheon, their 2014 Conference and their Sports Day. It is because of our amazing partners, like CAEM that we are able to continue to expand our initiatives and realize the full potential of our Foundation. 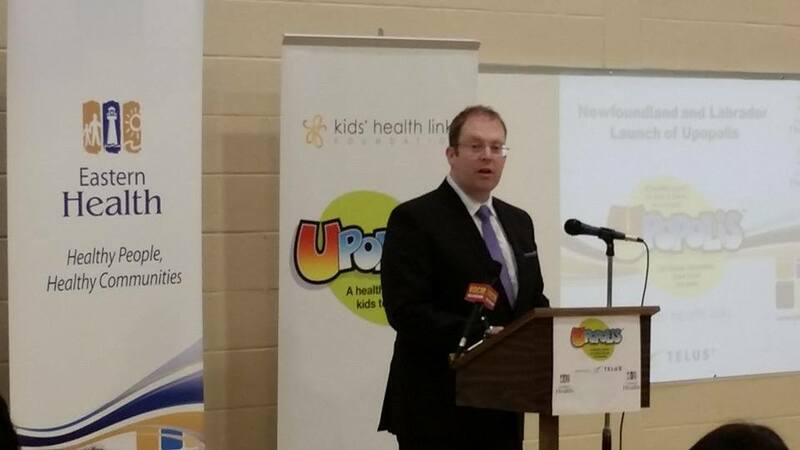 Our Newfoundland & Labrador launch of our UPOPOLIS Program was a great success! Though the temperature was chilly, we certainly basked in the warm welcome received from Eastern Health and Central Health, our newest UPOPOLIS sites. We were so excited to have The Honourable Steve Kent, Deputy Premiere and Minister of Health and Community Services attend the event, and it was a tremendous honour for Kids' Health Links Foundation and UPOPOLIS to be spoken about by him later that day at the House Of Assembly - a short video clip can be viewed HERE! A HUGE thank you to TELUS Health and Eastern Health Newfoundland & Labrador in particular for helping us rock "The Rock" by organizing and promoting this province-wide event! Upopolis launches in Newfoundland and Labrador! 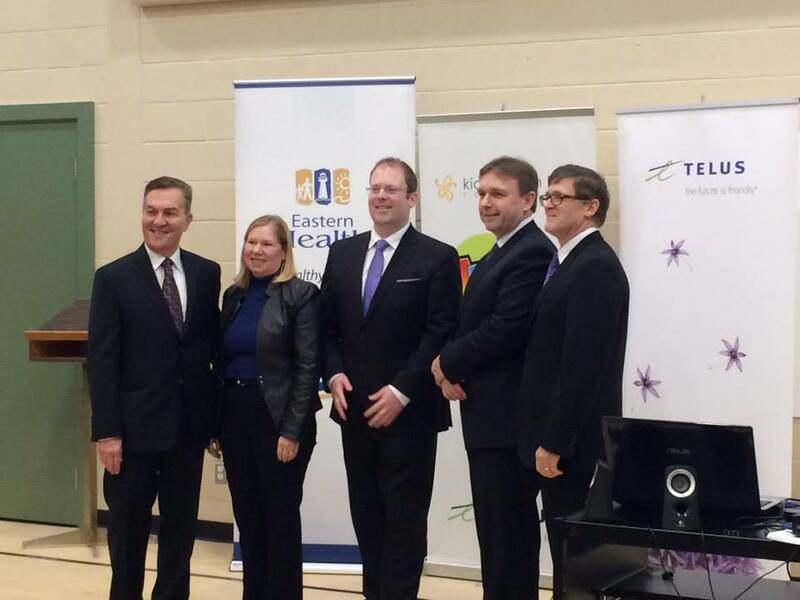 St. John’s – Newfoundland and Labrador will welcome TELUS Health and Kids’ Health Links Foundation (KHLF) to the province on Thursday, November 20, 2014 to make a province-wide announcement affecting pediatric patients and their access to youth-friendly medical content and social connections with families, friends and schools while undergoing treatment. The Honourable Steve Kent, Deputy Premier and Minister of Health and Community Services, along with representatives from Eastern Health, Central Health, TELUS Health and the Kids’ Health Links Foundation will be present for the provincial launch of this initiative. When: Thursday, November 20, 2014 9 a.m. Follow the conversation on Twitter using #Upopolis. Countdown to Upopolis SuperUser Meeting! This Thursday and Friday, November 13-14, 2014, Kids' Health Links Foundation is hosting its 3rd Annual UPOPOLIS Super User Meeting in Toronto. This yearly event brings together key child life specialists from across the country from that are using and enjoying the positive benefits of the UPOPOLIS program. Child life specialists are the life-blood of UPOPOLIS. They act as the administrators and champions of the program in the institutions where it's found. We've found that bringing them together annually for UPOP training, in-depth discussions on socialization of the program within their hospitals, best-practice sharing and hot topic brainstorming – all in an effort to promote collaboration and develop ways to continually improve and enhance the program – has become a much anticipated, effective and exciting event we all look forward too. This year, we are excited to have delegates from 3 tertiary care centres join us as well. They are exploring the possibility of bringing UPOPOLIS to their units (eg. Oncology) to support the children and youth they see. We look forward to their ideas, contributions, and feedback. We are also very excited to announce Mary Jo Haddad, KHLF Board Member and Past President & CEO of SickKids Hospital as our Keynote speaker to kick-off our meeting on Friday morning! Toronto, Ontario – The Kids’ Health Links Foundation (KHLF) is pleased to announce its Canada-wide launch event to be held June 18th, celebrating the release of the newly redesigned and revamped Upopolis 2.0, a private online social network available exclusively to paediatric patients in hospitals and healthcare facilities throughout Canada. Developed in partnership with TELUS Health, the new UPOPOLIS 2.0 makes it even easier for hospitalized youth to connect with one another, with family and with friends. Along with its psycho-social benefits, UPOPOLIS users can share photos, chat, play games and much more. A particularly important feature of UPOPOLIS is its kid-friendly medical content. Written specifically for kids & teens and reviewed and verified by medical professionals, this library of information allows paediatric patients to learn more about their medical conditions and treatments. Hospitals that are part of the UPOPOLIS network and that will be participating with in-hospital events on June 18th include: The Hospital for Sick Children (SickKids), Toronto, ON; McMaster Children’s Hospital, Hamilton, ON; IWK Health Centre, Halifax, NS; Children’s Hospital of Eastern Ontario (CHEO), Ottawa, ON; Holland Bloorview Kids Rehabilitation Hospital, Toronto, ON; CHU Sainte-Justine University Hospital Centre, Montréal, QC; and Children's Hospital London Health Sciences Centre, London, ON. At the Kids’ Health Links Foundation (KHLF), our mission is to use technology to alleviate the stress, isolation and loneliness of children in medical care, and keep them connected with their family, friends and school community. We believe that positive emotional well-being can be fostered by maintaining family connections and encouraging active social participation. By providing technology that enables this well-being, we hope to help children heal faster and better overcome traumatic medical experiences. For more information about the Kids’ Health Links Foundation and UPOPOLIS, visit www.kidshealthlinks.org. Join us at Glen Abbey on Sept. 15th, 2014 and help us, help kids. You're invited to join us at Glen Abbey Golf Course on September 15th, 2014 for our 4th Annual Kids' Health Links Golf Invitational and Fundraiser. With your generous support and participation, it's sure to be great day as we raise funds for our flagship initiative, UPOPOLIS. On September 16th, 2013 nearly 150 golfers participated in the KHLF 3rd Annual Golf Invitational and Fundraiser at the beautiful Glen Abbey Golf Club in Oakville. It was a fantastic day and we thank all our corporate and individual sponsors and supporters for making it a great success! On Monday September 26, 2011 we held our inaugural Charity Golf Invitational and Fundraiser at the exclusive Glen Abbey Golf Club in Oakville, Ontario! The proceeds from this tournament are making it possible for UPOPOLIS to continue helping to alleviate the stress, isolation and loneliness children experience during stretches of medical care. This safe, online community provides answers and comfort with an online library of easy to understand medical information written especially for kids and teens.UPOPOLIS is the only private and secure social network in Canada that helps hospitalized children stay connected with family and friends, remain up to date with school, and virtually meet kids in hospital across the country. To date, UPOPOLIS has touched the lives of over 1,500 hospitalized children at McMaster Children’s (Hamilton), SickKids (Toronto), CHEO (Ottawa), IWK Health Centre (Halifax), CHU Sainte-Justine (Montreal) and BC Children’s (Vancouver). Many hospitalized children still remain outside the UPOPOLIS community. 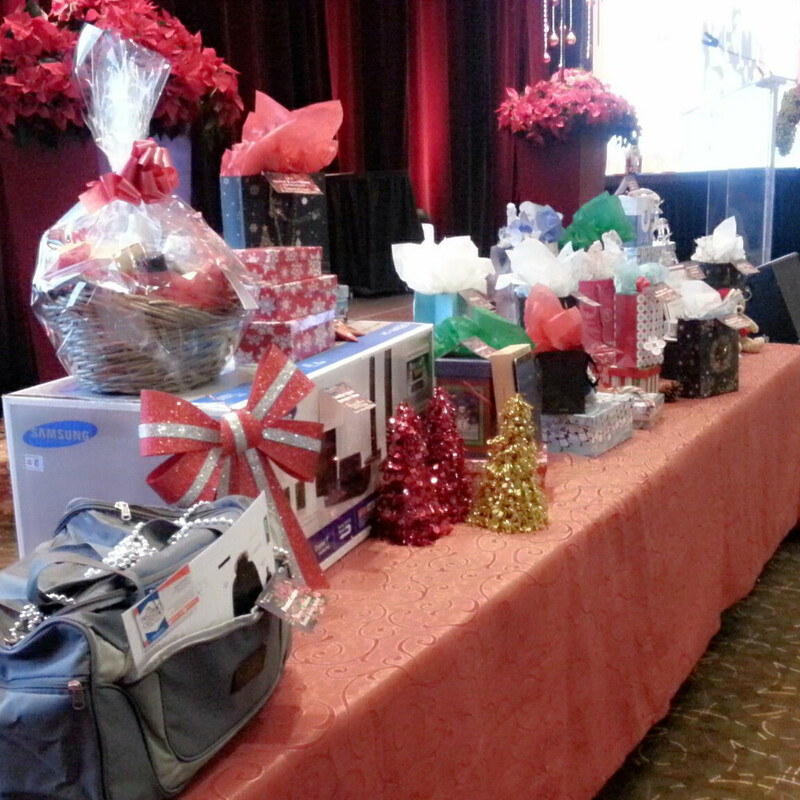 A hearty thank you to all our golfers, sponsors, volunteers and donors! UPOPOLIS is the only private and secure social network in Canada that helps hospitalized children stay connected with family and friends, remain up to date with school, and virtually meet kids in hospital across the country. Register today to join us in championing this cause. In support of UPOPOLIS, Kids’ Health Links Foundation (KHLF) is hosting its First Annual Charity Golf Invitational and Fundraiser on Monday, September 26th at the exclusive Glen Abbey Golf Club in Oakville, Ontario. The proceeds from this tournament will make it possible for UPOPOLIS to continue helping to alleviate the stress, isolation and loneliness children experience during stretches of medical care. This safe, online community provides answers and comfort with an online library of easy to understand medical information written especially for kids and teens. To date, UPOPOLIS has touched the lives of over 1500 hospitalized children at McMaster Children’s (Hamilton), SickKids (Toronto), CHEO (Ottawa), IWK Health Centre (Halifax), CHU Sainte-Justine (Montreal) and BC Children’s (Vancouver). Many hospitalized children still remain outside the UPOPOLIS community. You can help change this by registering now! Rain? What Rain? Thank you to everyone who helped make the 8th annual Golf Invitational and Fundraiser a success!